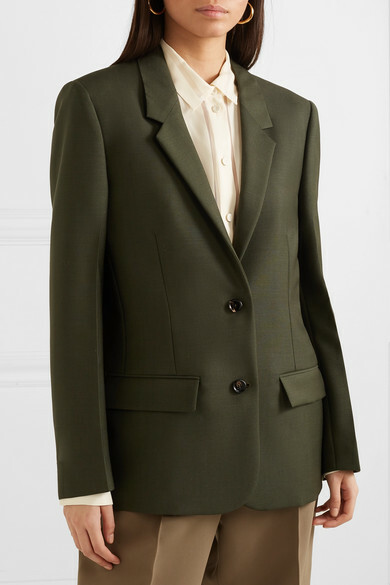 Bottega Veneta's suiting is legendary - Rosamund Pike, Blake Lively and January Jones have all worn the brand's designs to red carpet events. 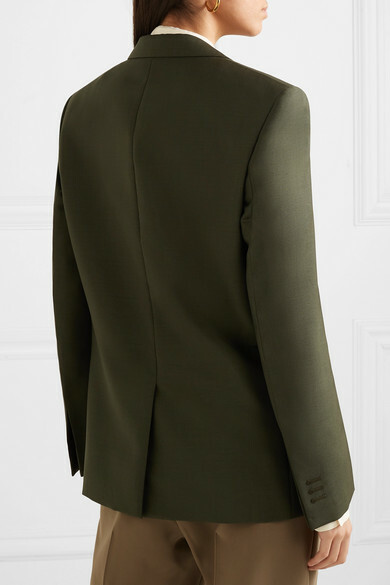 This forest-green mohair and wool-blend blazer has been tailored in Italy for a loose fit and has a silky soft lining. 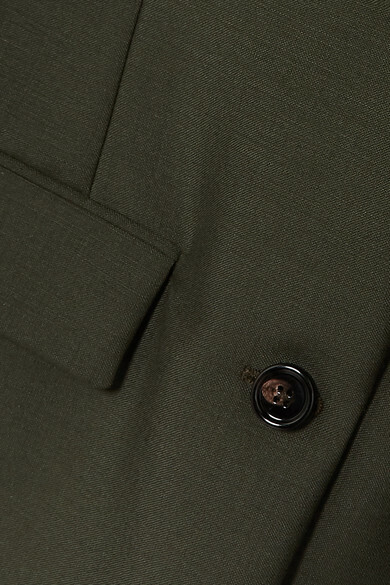 Wear yours with wide-leg pants or over a sheath dress. 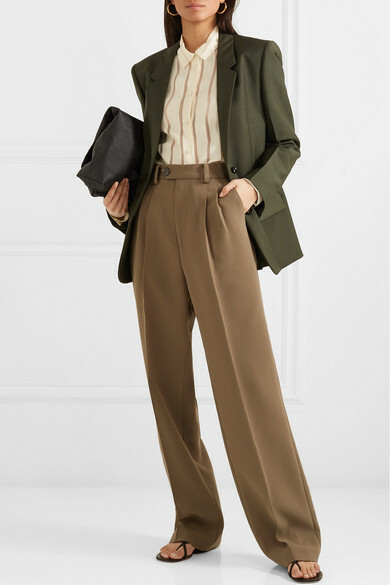 Shown here with: Bottega Veneta Blouse, Peter Do Pants, The Row Shoulder bag, Rosetta Getty Sandals, Dinosaur Designs Earrings.